Besides the Bose museum, the PM also inaugurated two new museums commemorating India’s freedom struggle. The inauguration was timed with the 122nd birth anniversary of Netaji Subhas Chandra Bose, which is being celebrated around the country today. Following the inauguration, the PM took a guided tour of the museum. He was accompanied by Netaji’s grandnephew Chandra Kumar Bose during the tour of the museum. The PM also met some INA veterans and family members of INA veterans at the museum. The digitised Bose museum has on display artefacts and personal belongings connected to Neaji’s life. Among the belongings are a wooden chair, a sword used by Bose, photographs of his family, currency notes of the INA era as well as medals, badges, uniforms and more. 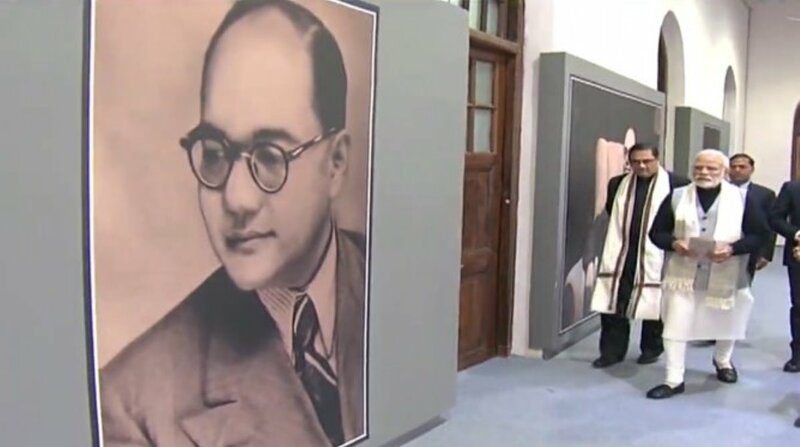 The galleries in the Bose museum, displayed in three floors, will help a visitor relive the life of Subhas Chandra Bose from his childhood to his disappearance and thereafter to the INA trials. Every aspect of Bose’s life and fight for freedom has been well documented. Actor Abhishek Bachchan has done the voice-over for the films on Netaji that are shown to visitors. The museum is located in the Red Fort barracks where the INA trials were held from 5 November 1945 to 3 January 1946. 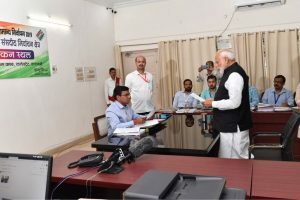 After the tour of the Bose museum, the PM visited the ‘Yaad-e-Jallian’ museum which chronicles the bloody massacre of the Jallianwala Bagh in 1919. The museum also documents the heroism, valour and sacrifices made by Indian soldiers during World War-1. The third museum, which the PM inaugurated and took a tour of, is dedicated to the historical narrative of the 1857 War of Independence. The museum gives the visitor the complete information on how the then Indians waged the first war of independence against the British. The museums have been designed to provide an immersive experience to visitors with photographs, paintings, newspaper clippings, ancient public records, audio and video clips, animation and multimedia.